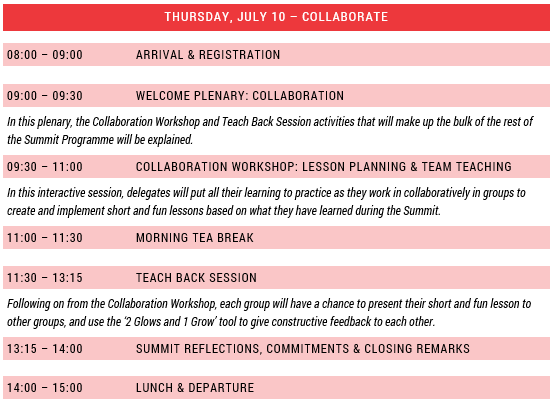 We are excited to announce our programme line-up for the GTI Axis Summit 2018. 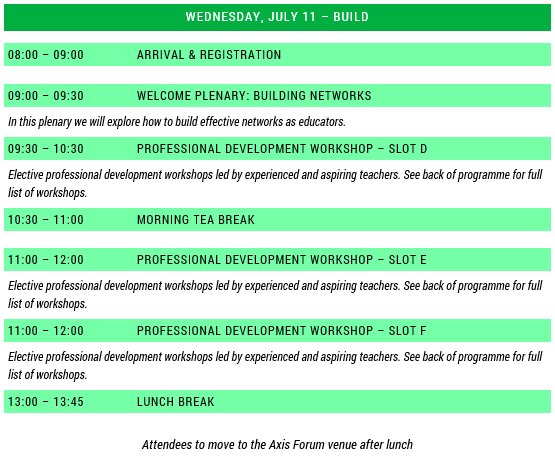 We have 21 great professional development workshops on the Tuesday and Wednesday, followed by the cross-cutting Axis Forum in the afternoon hosted by well-known comedian and social activist Siv Ngesi. 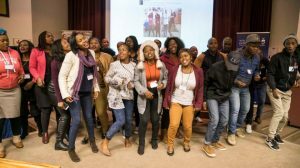 We will close out on Thursday with a collaborative “Teach Back Session” where you will get a chance to work in teams to create and team teach a lesson using all the tools, techniques and knowledge you have gained. 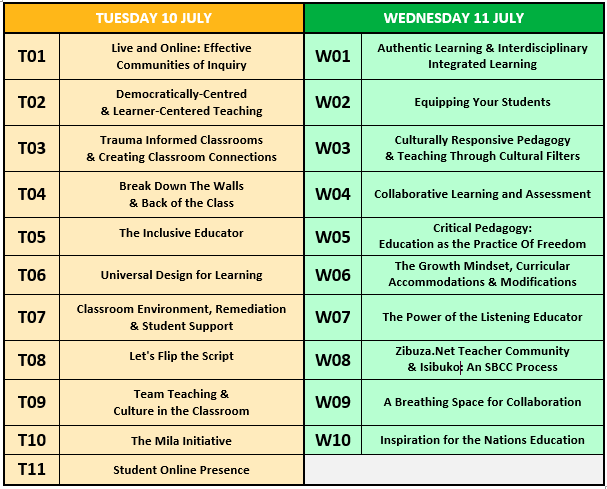 To make it easier, we have given the full list of workshops below, with the full Summit programme and detailed descriptions of each topic and a short biography of each presenter. Registration for the GTI Axis Forum is still open register today! 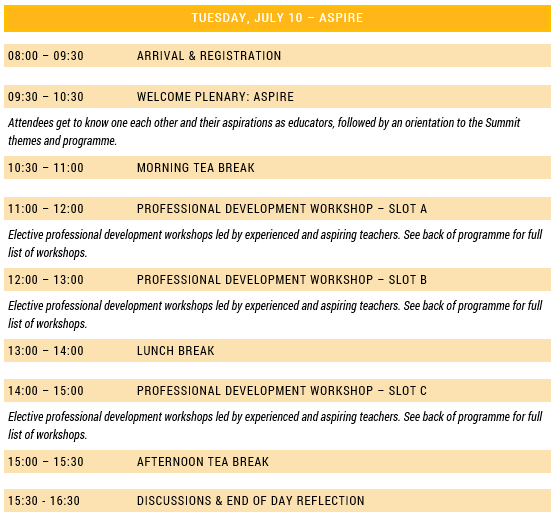 We look forward to having you at the Summit as we Aspire, Build and Collaborate as educators.